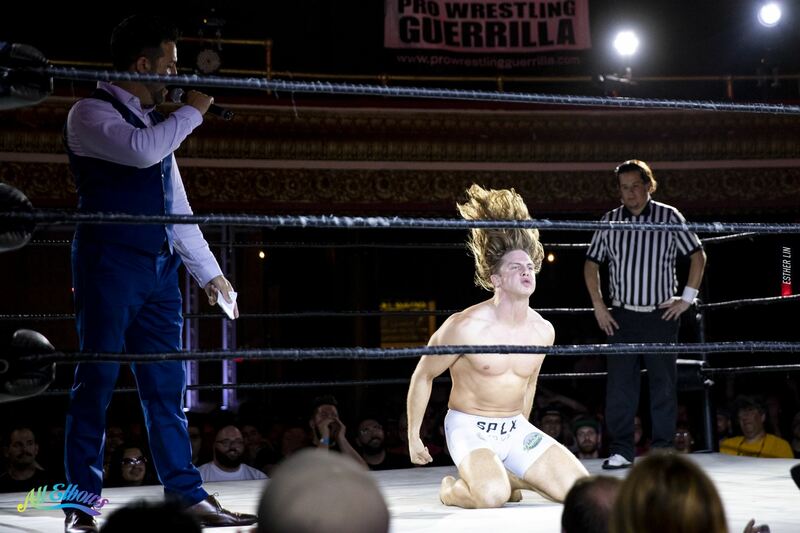 Fifteen years of Pro Wrestling Guerrilla. 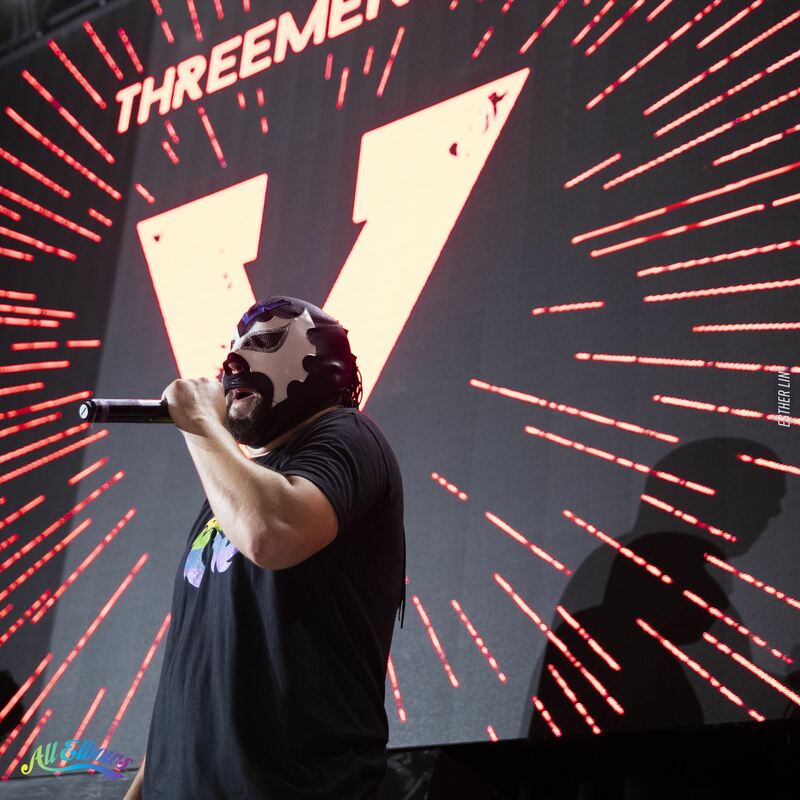 Celebrating on Friday, July 13th, at the Globe Theater in Los Angeles with Threemendous V.
Ah, it was such fun to hear about Frank & Sons not just because that’s where they had their first show but because much of my childhood was spent there. 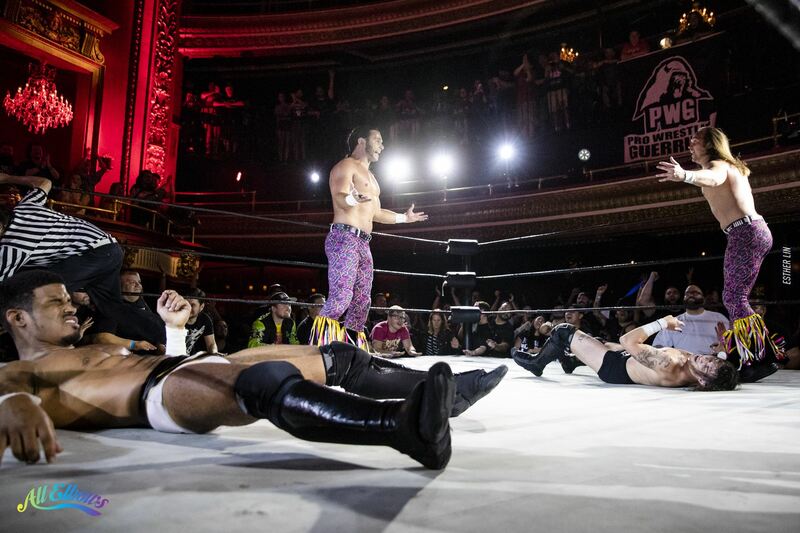 I went to school in the next town over and I have so many memories among those stalls. 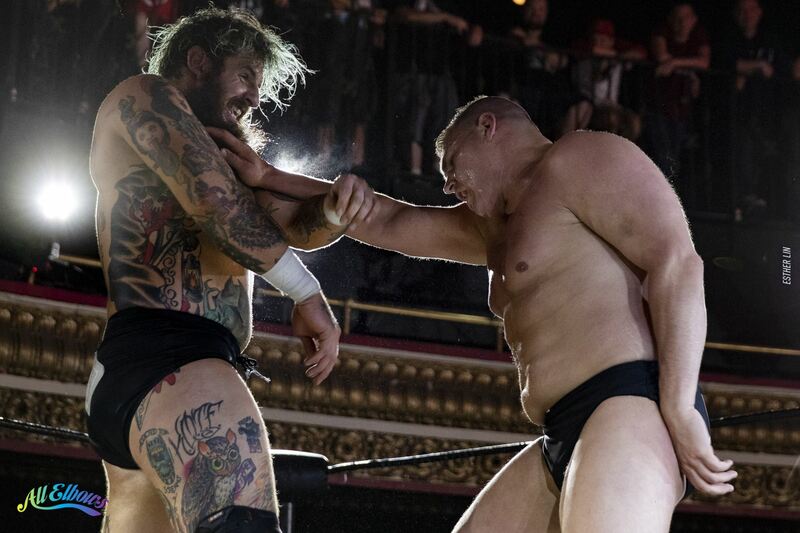 I also shot Limp Wrist in the AWS lot across the street. 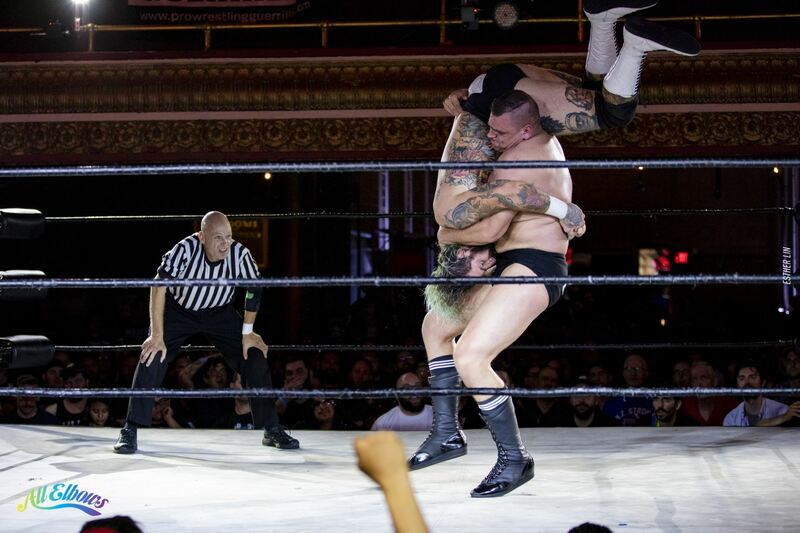 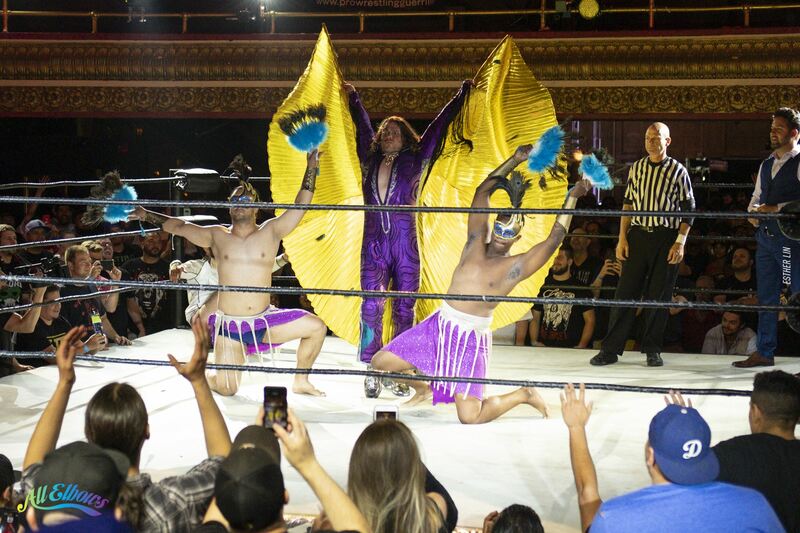 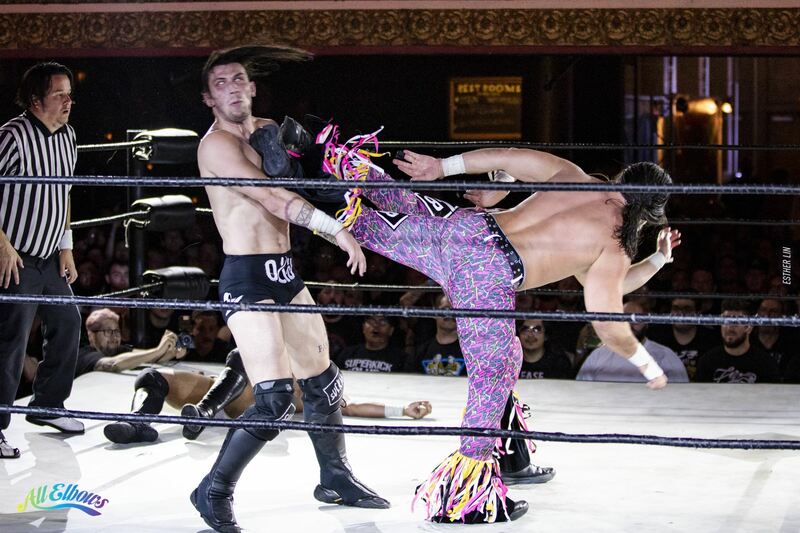 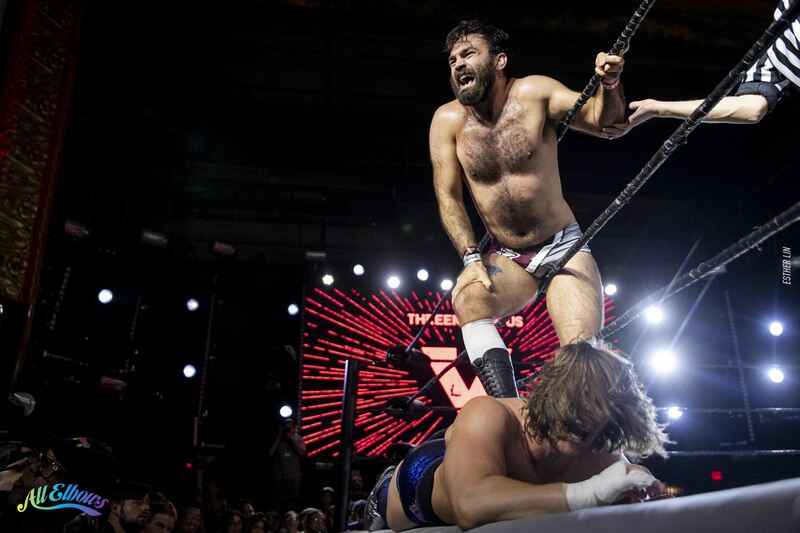 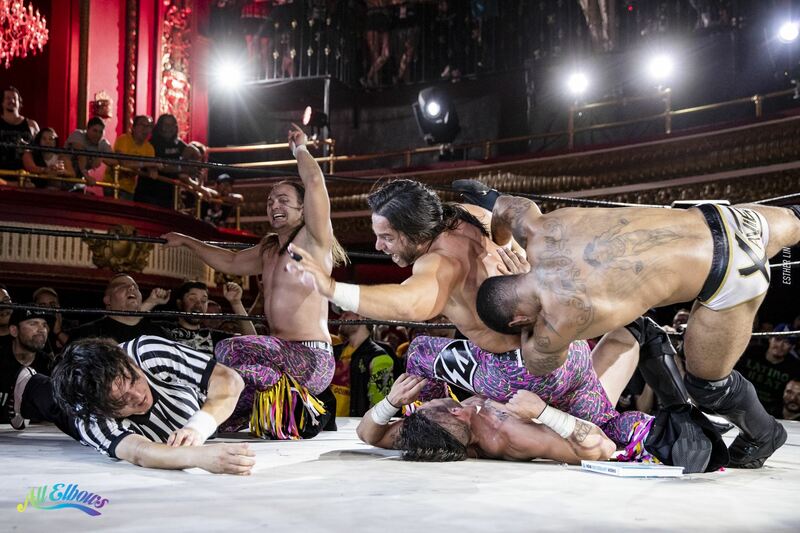 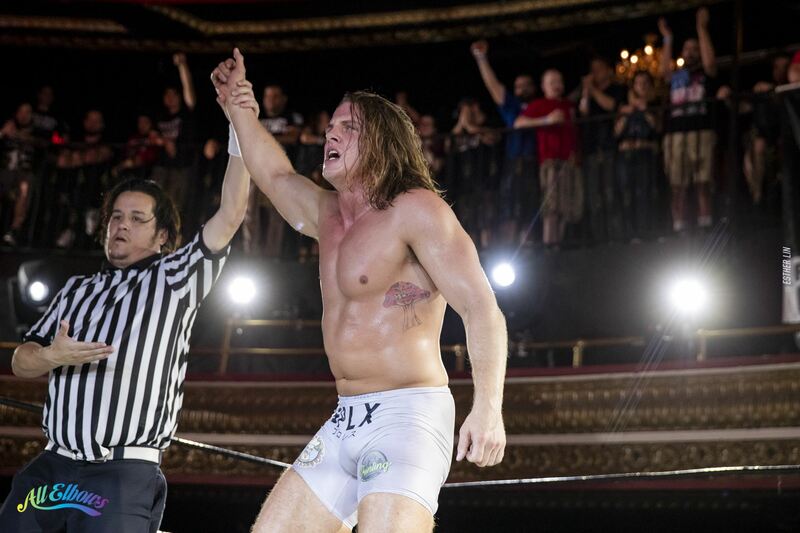 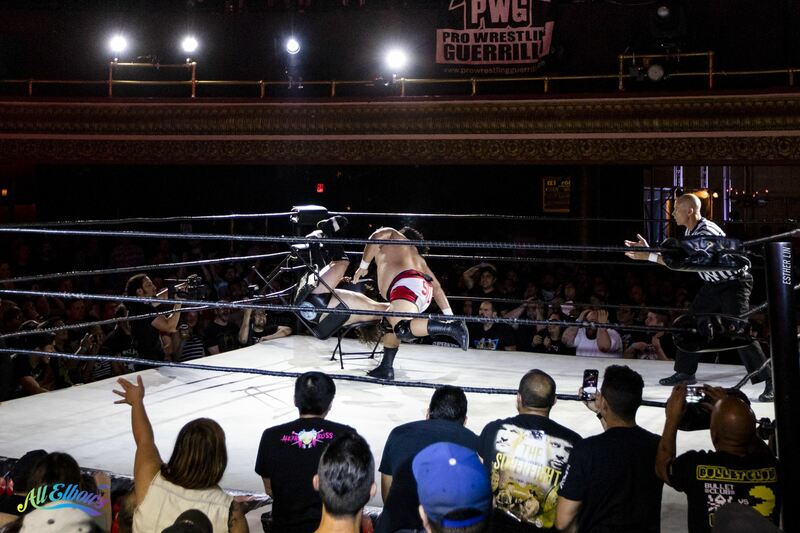 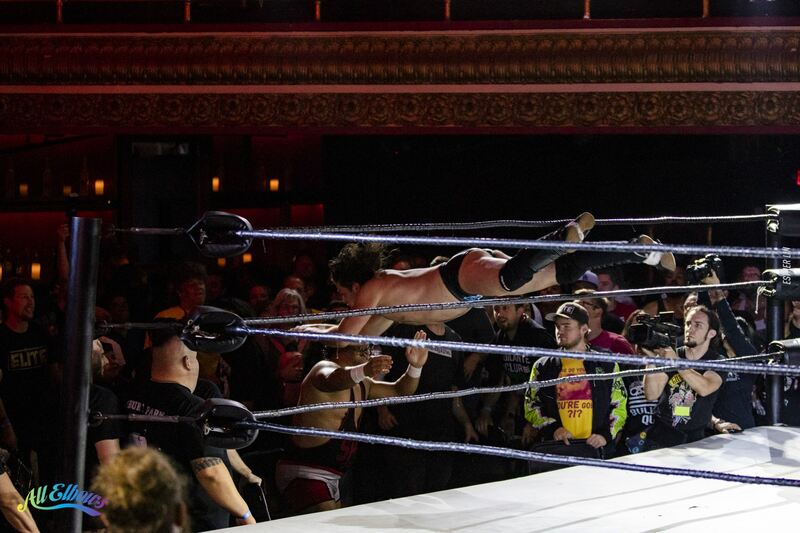 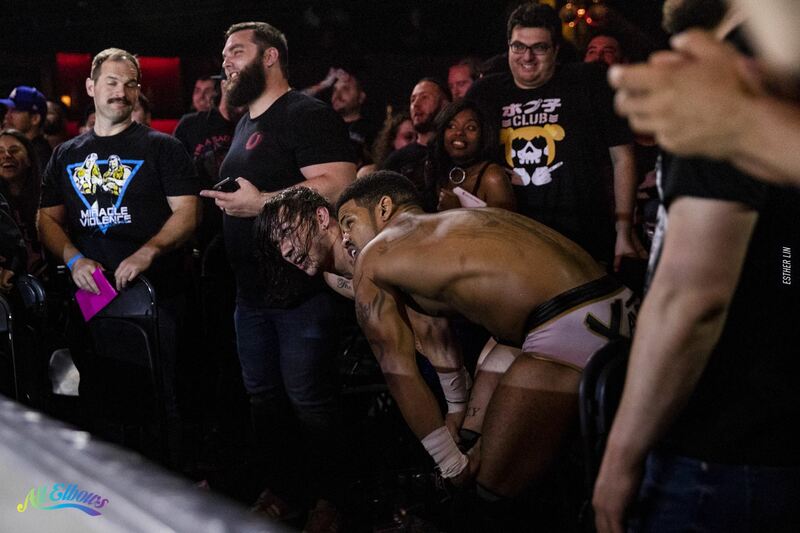 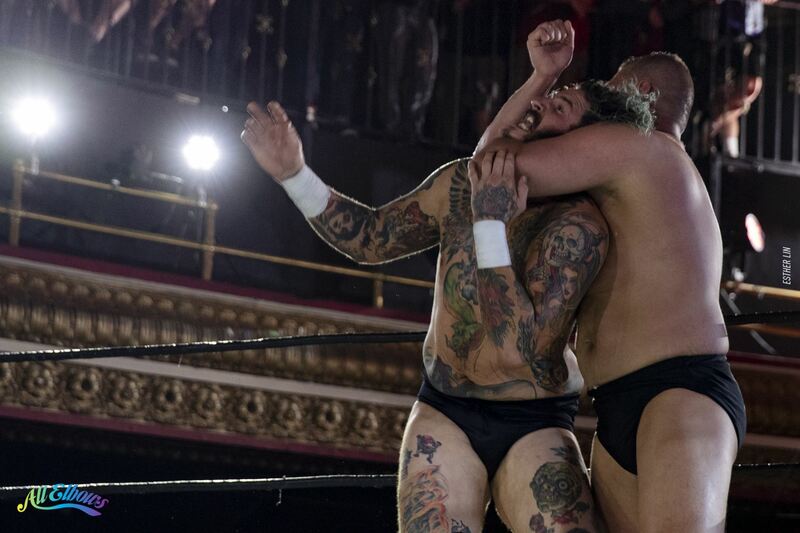 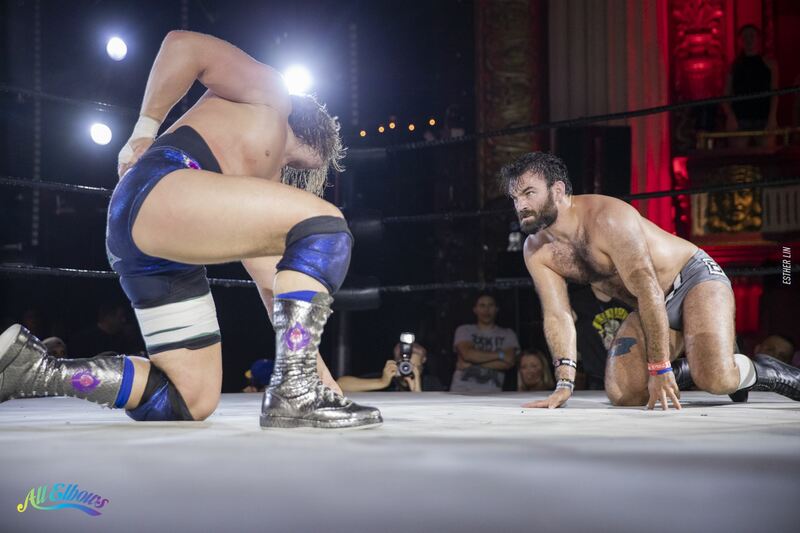 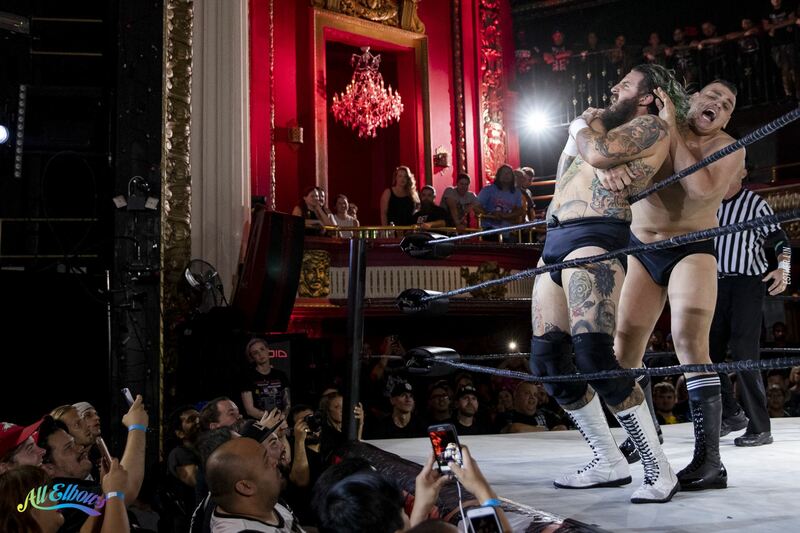 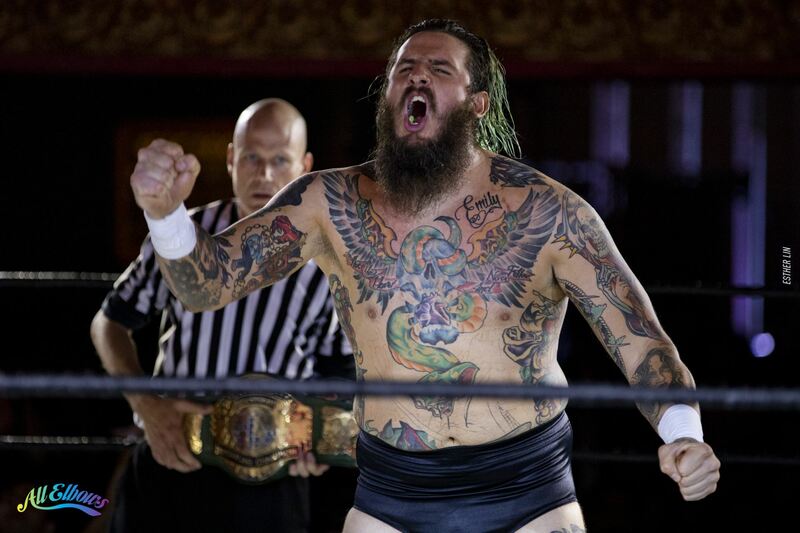 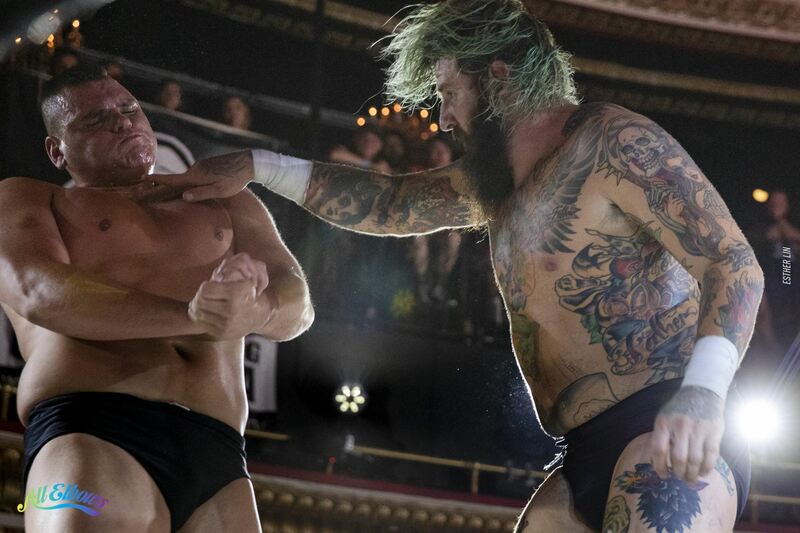 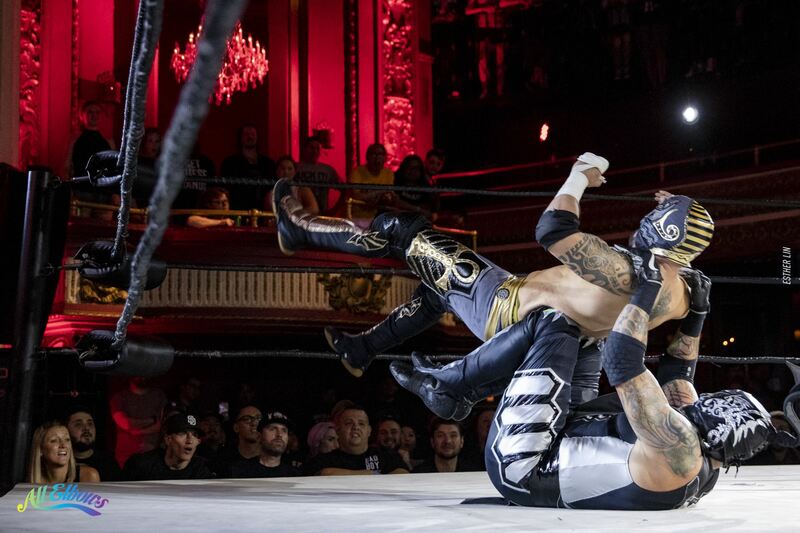 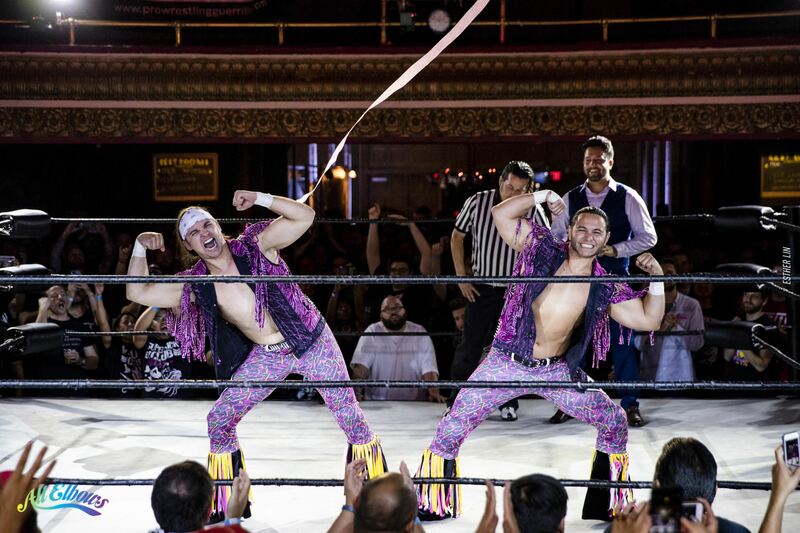 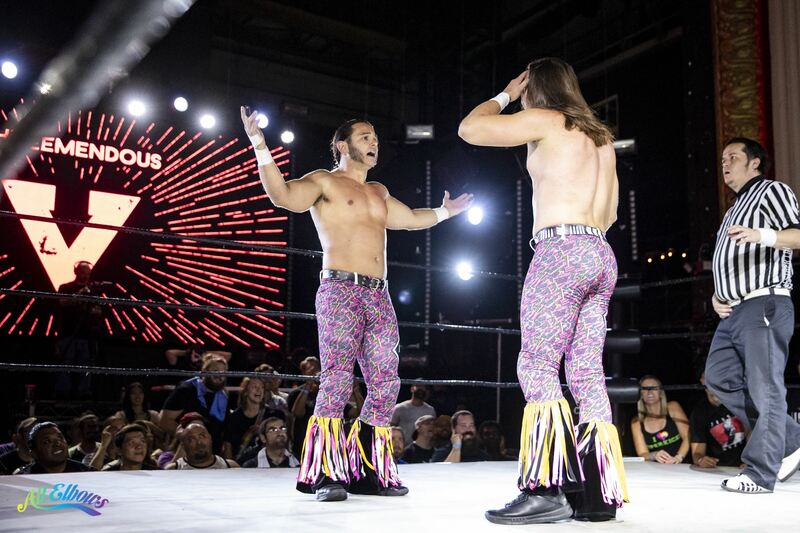 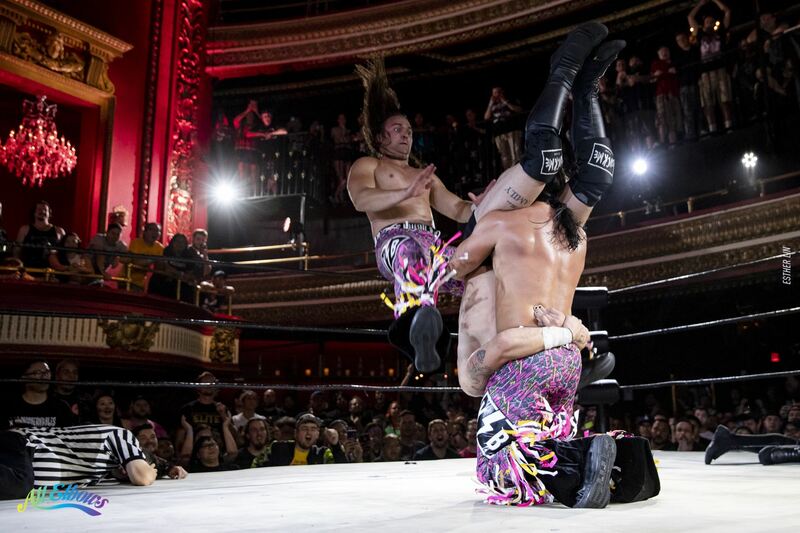 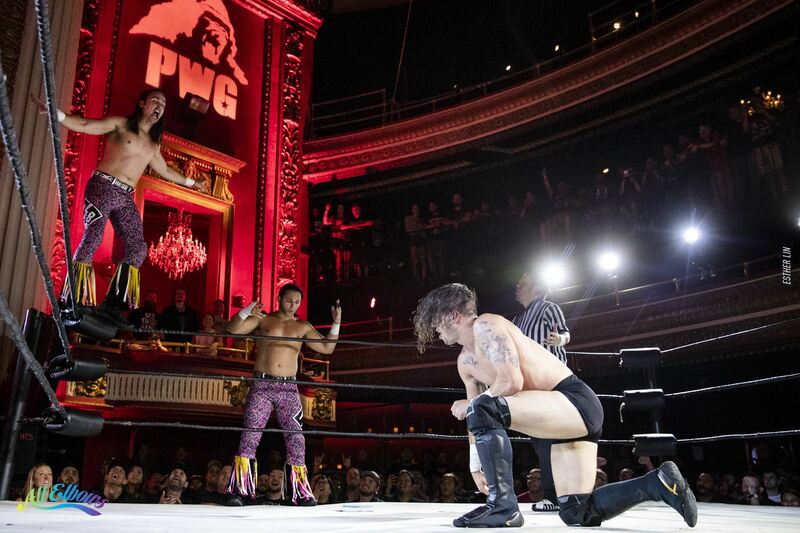 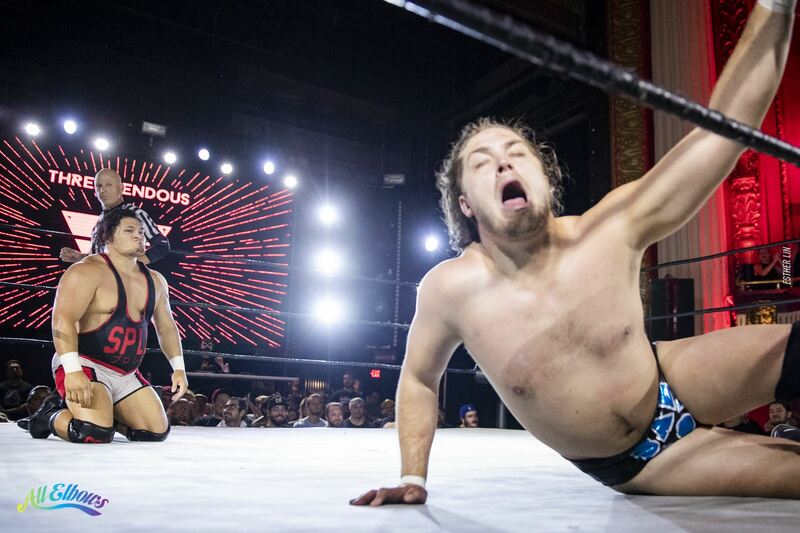 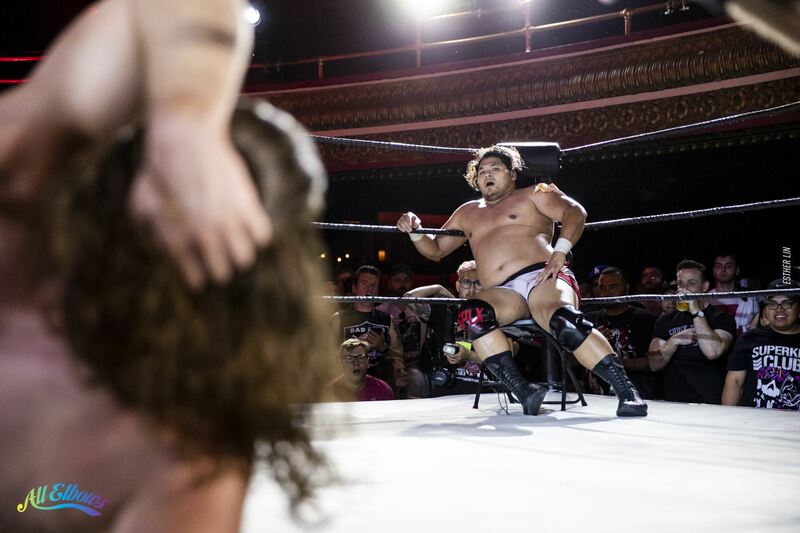 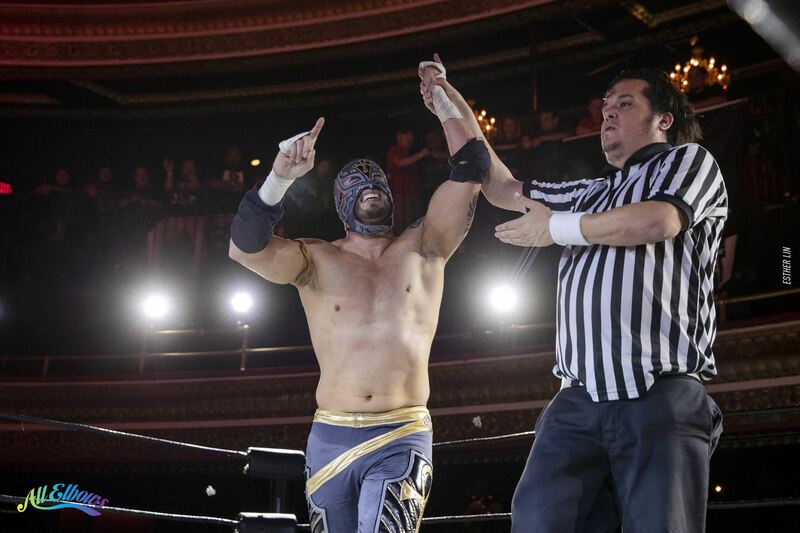 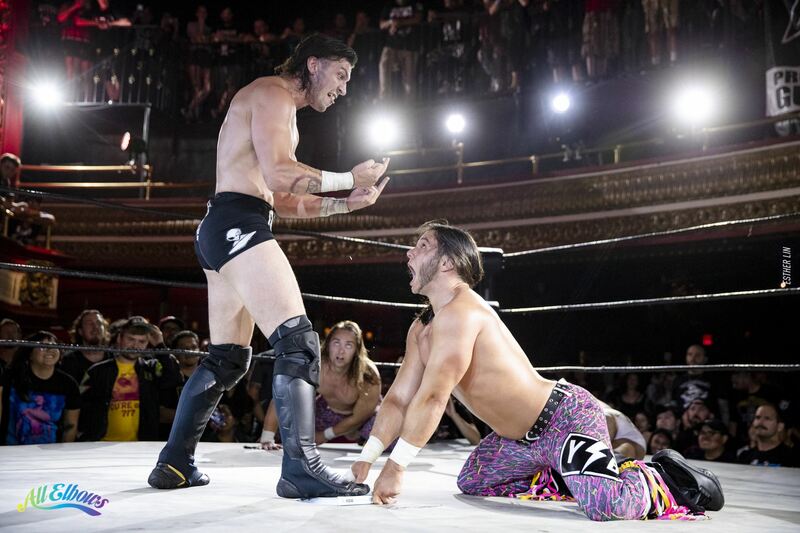 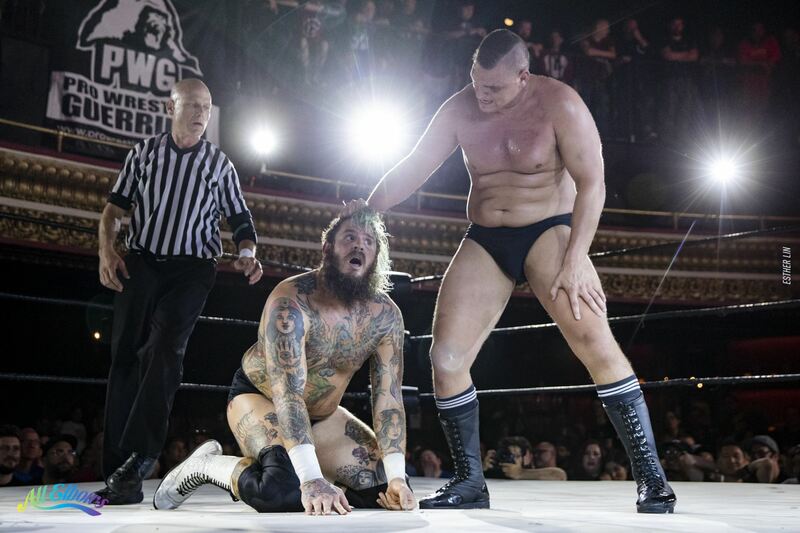 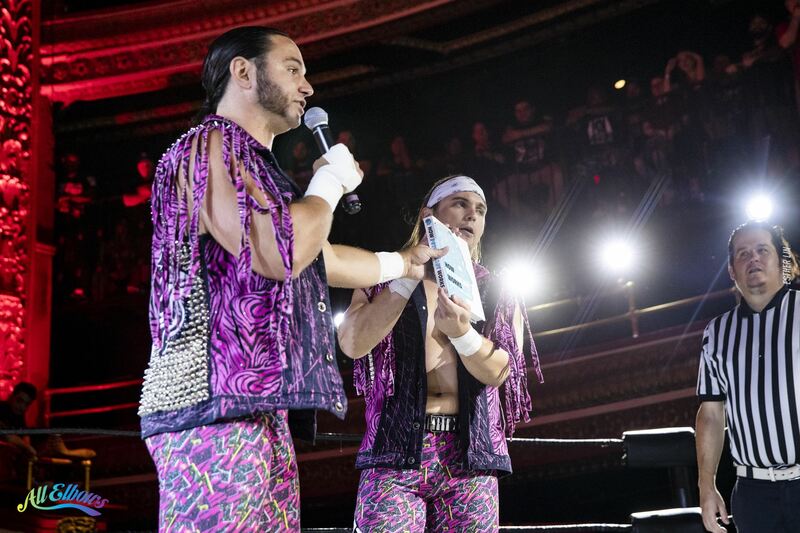 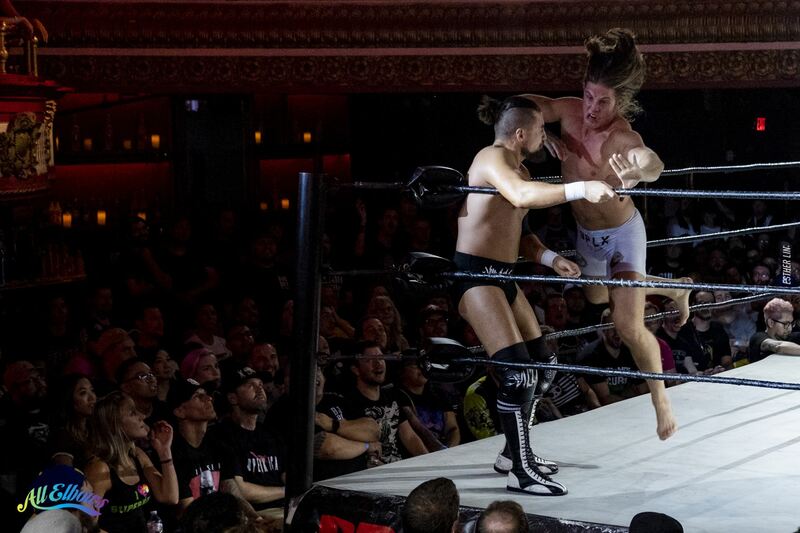 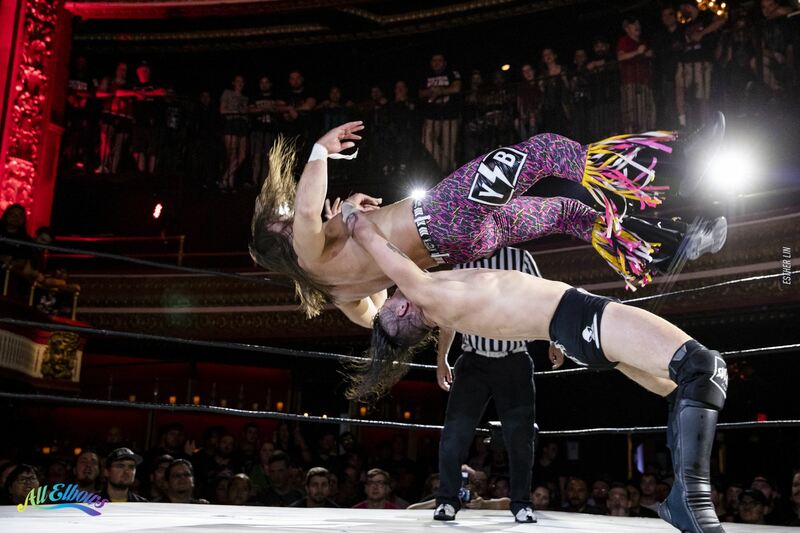 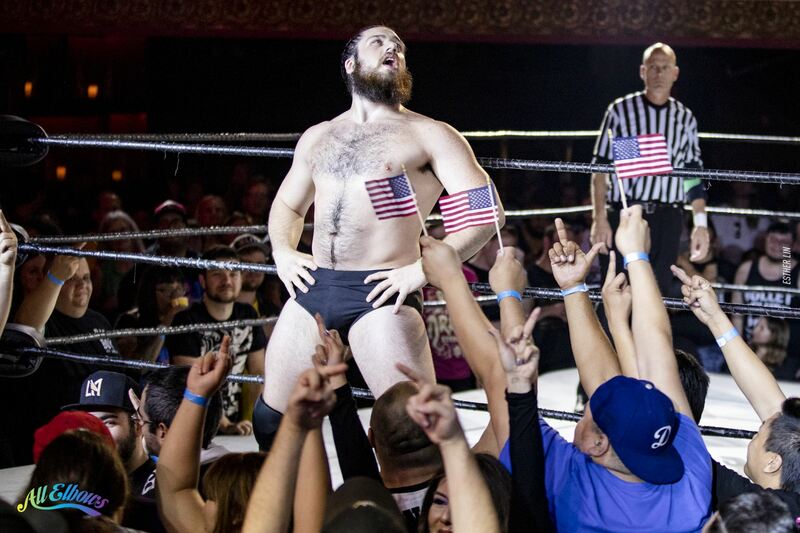 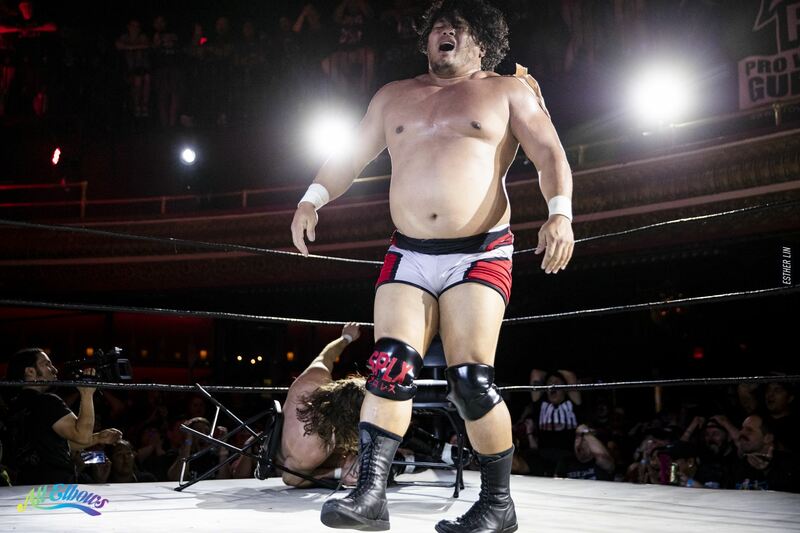 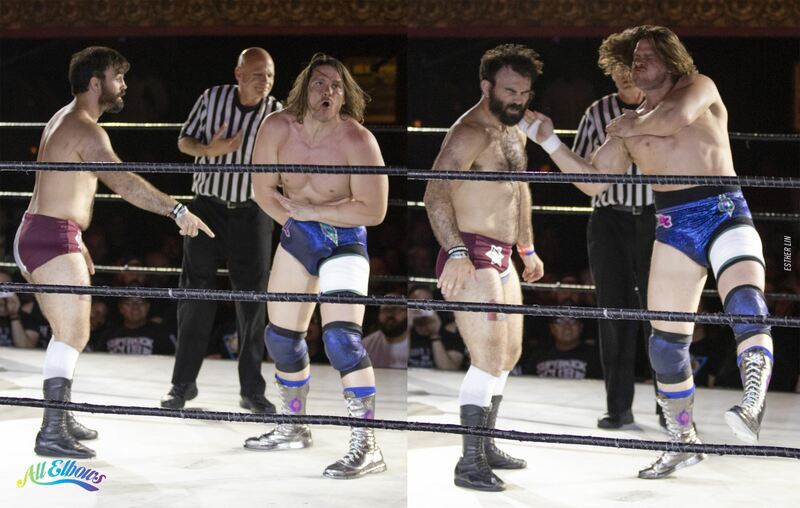 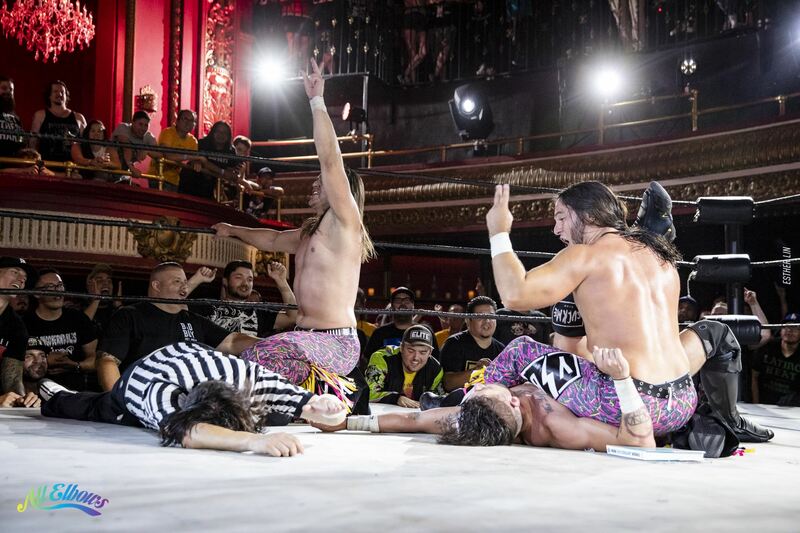 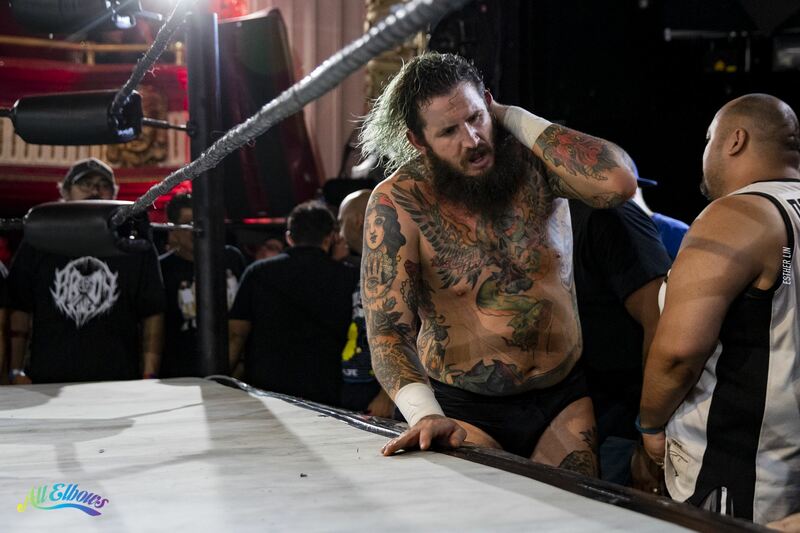 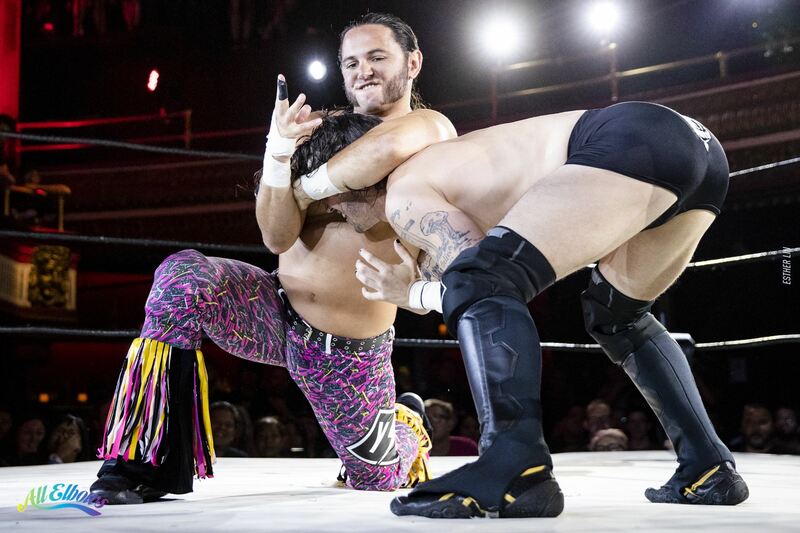 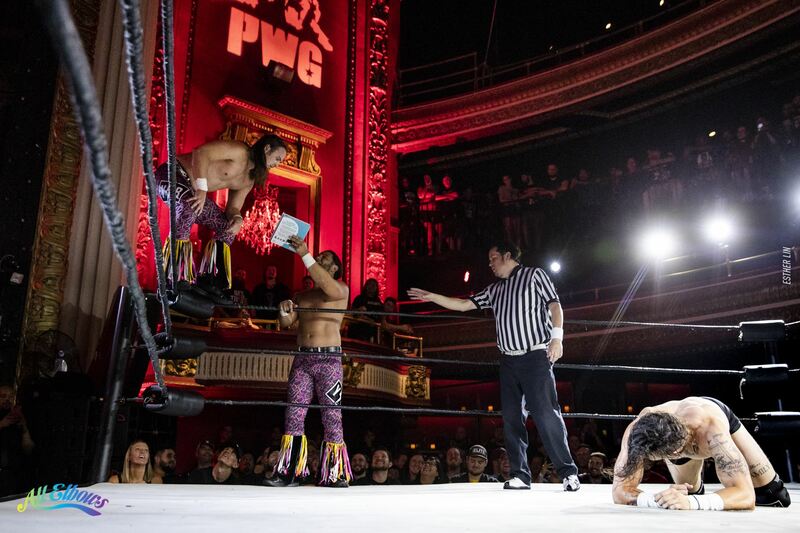 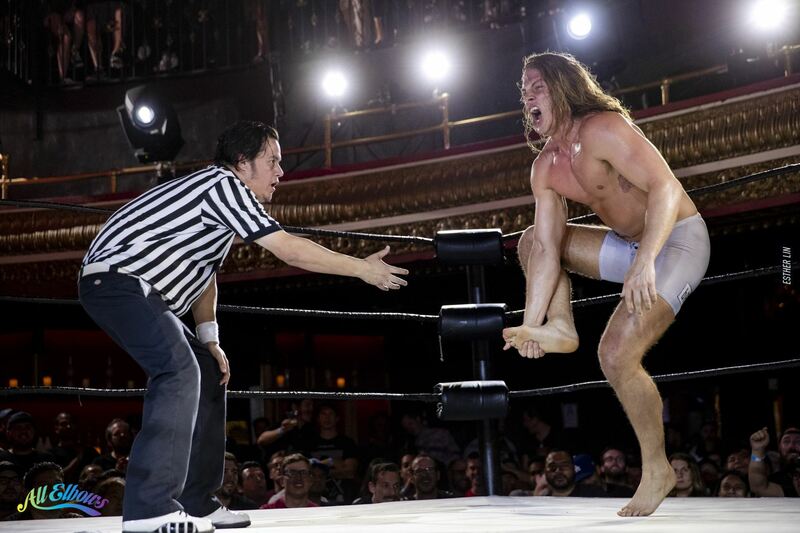 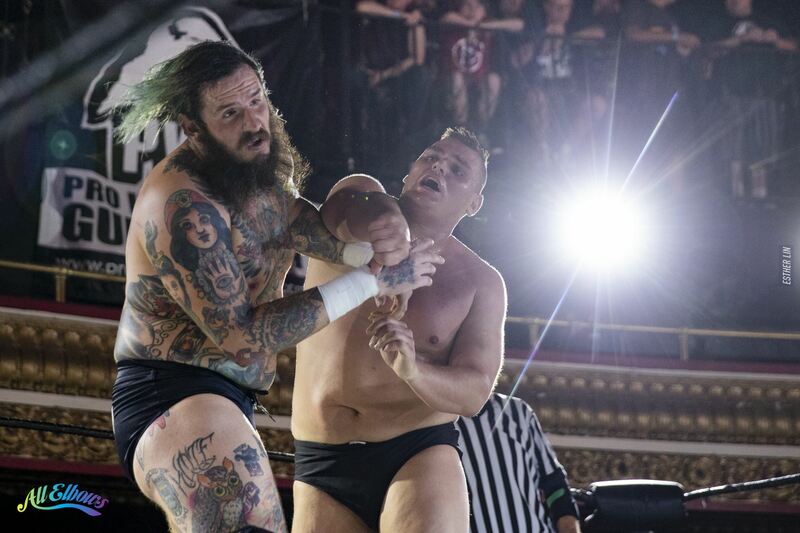 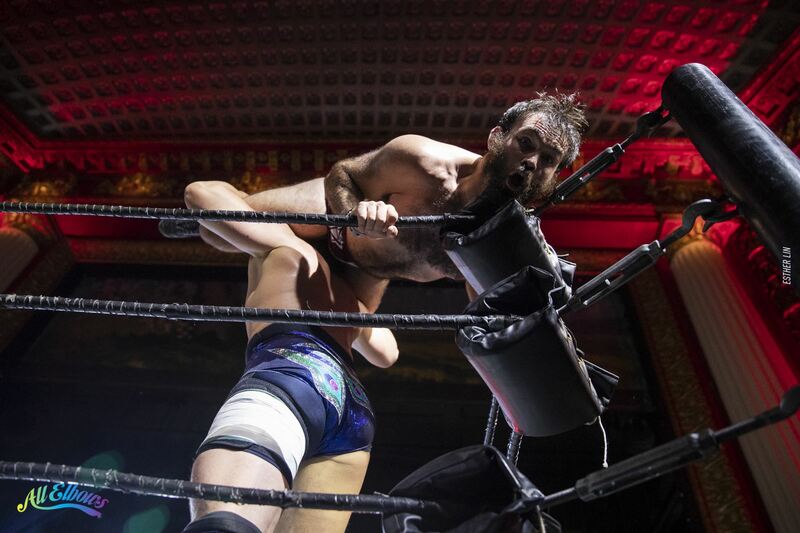 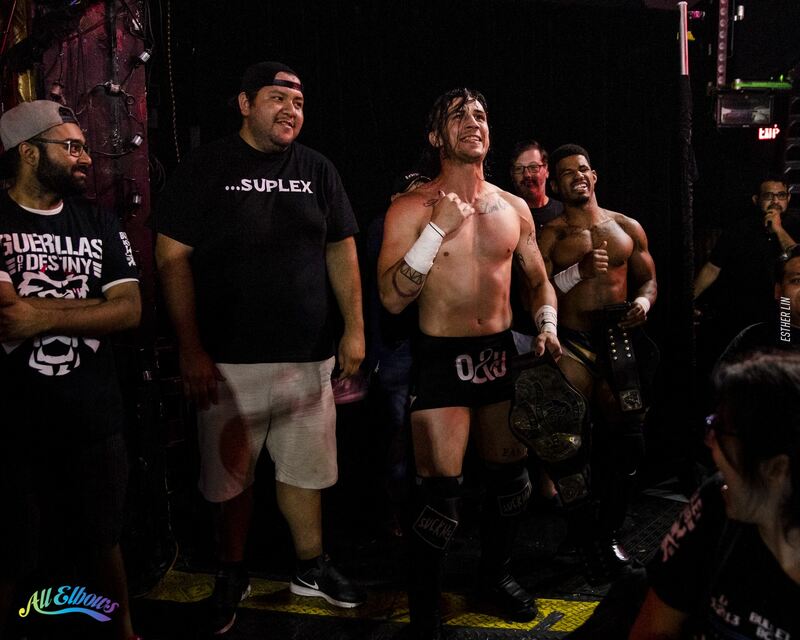 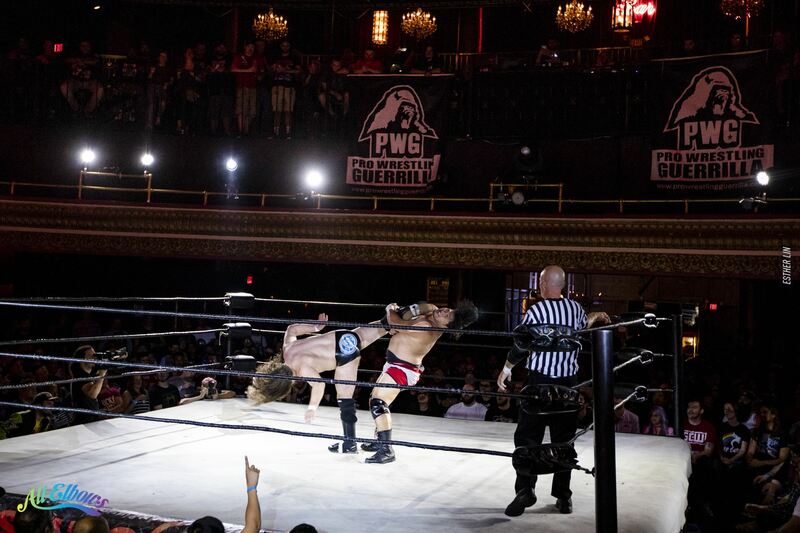 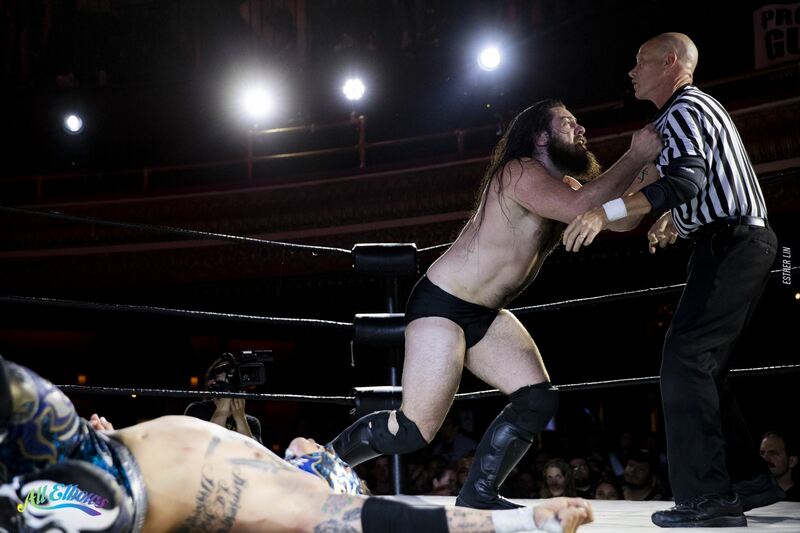 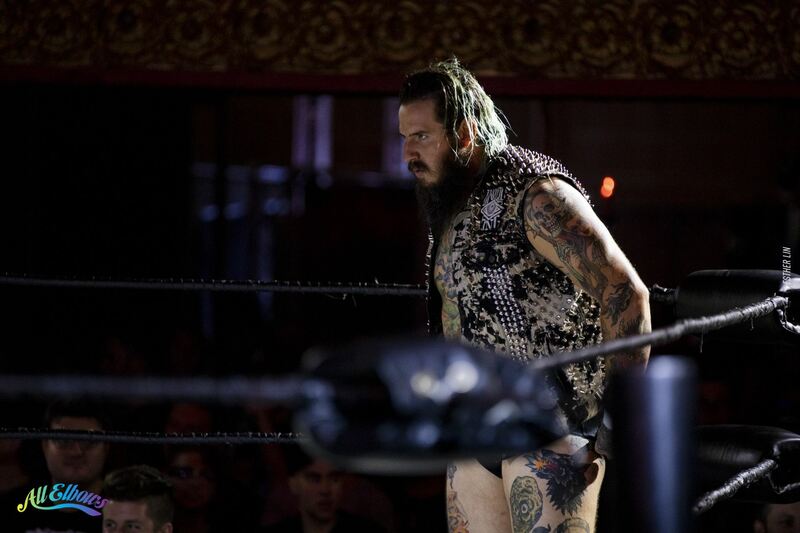 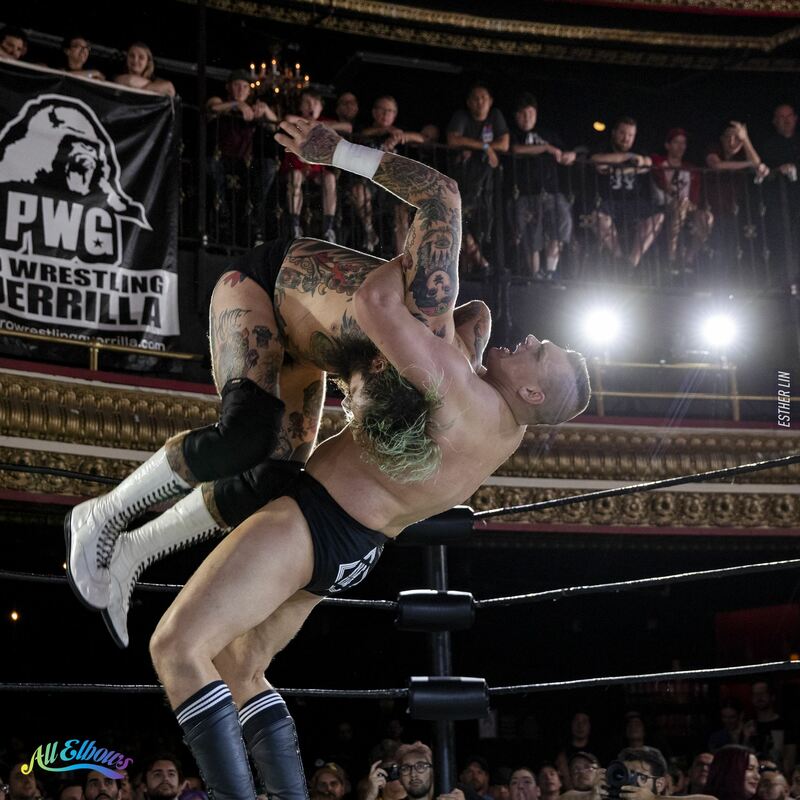 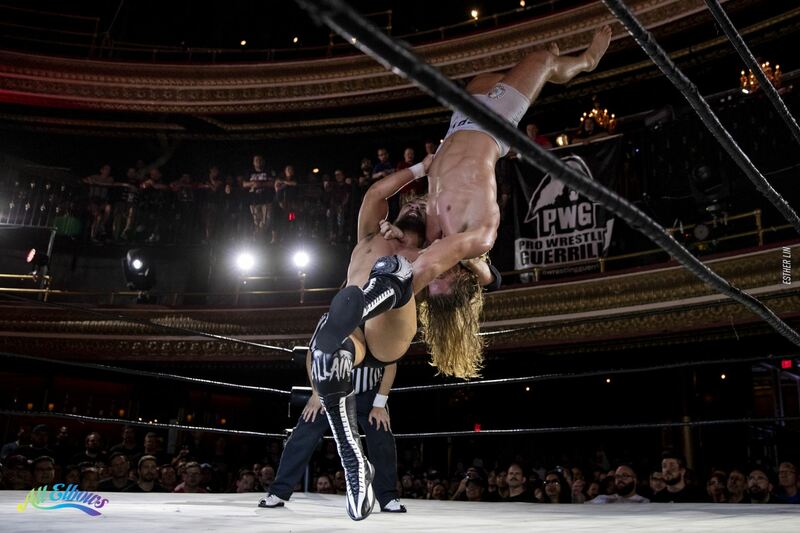 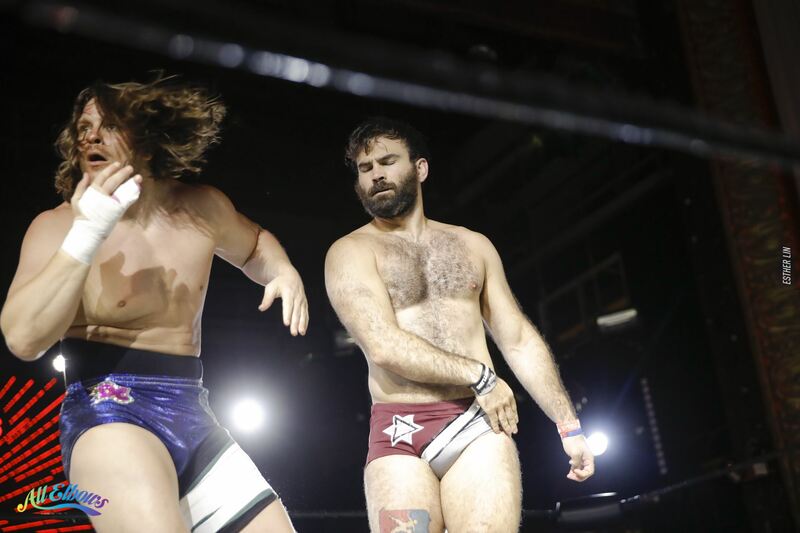 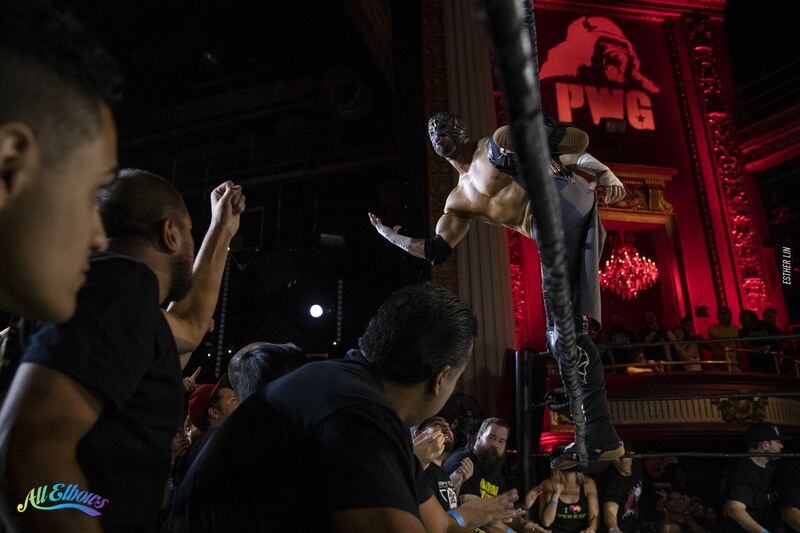 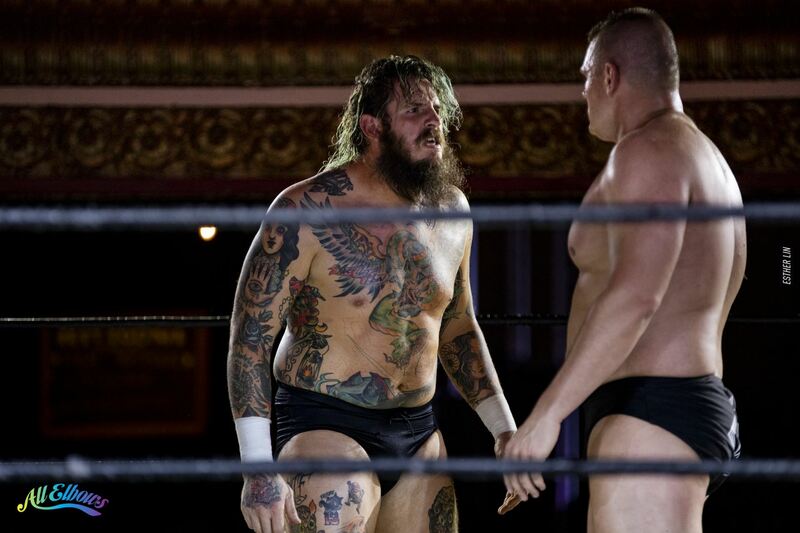 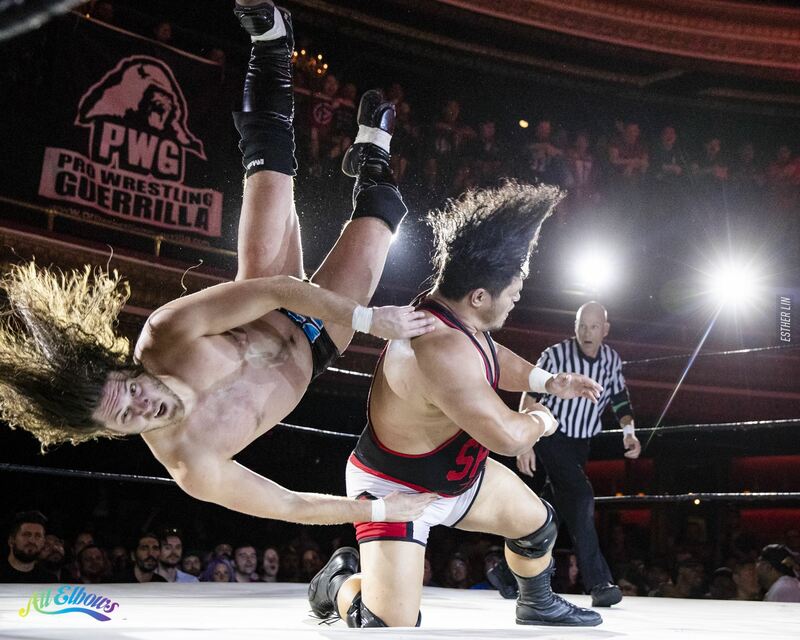 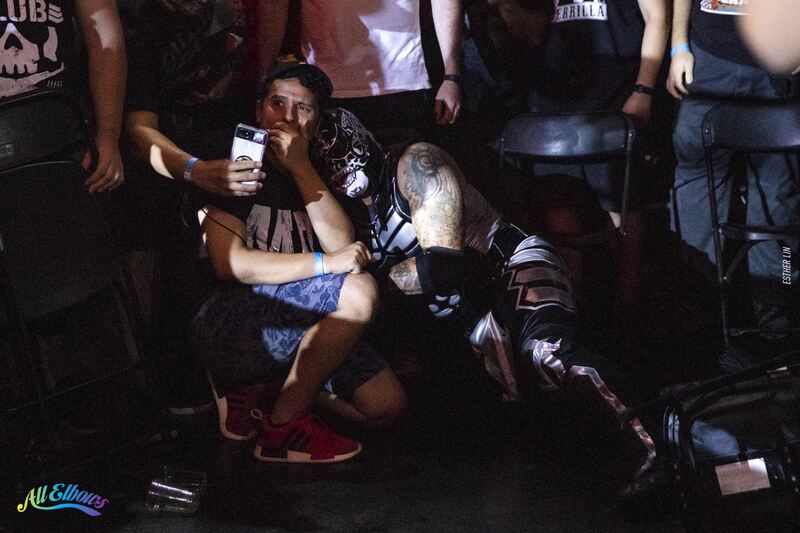 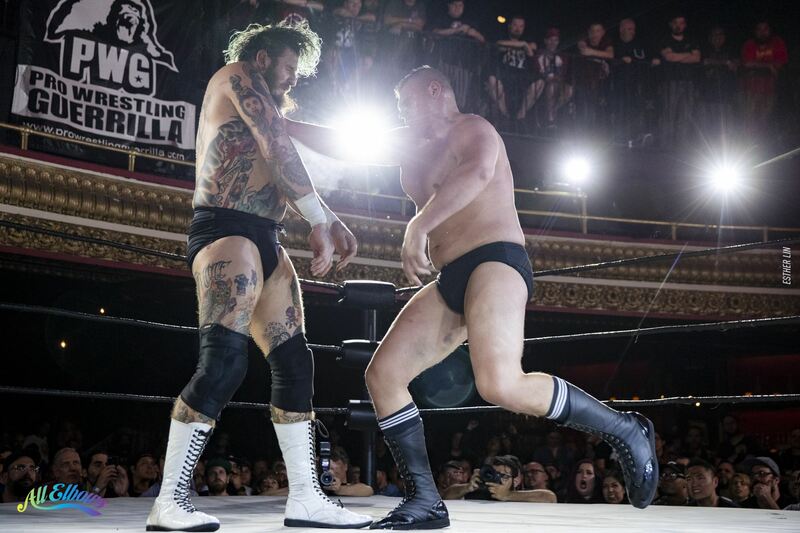 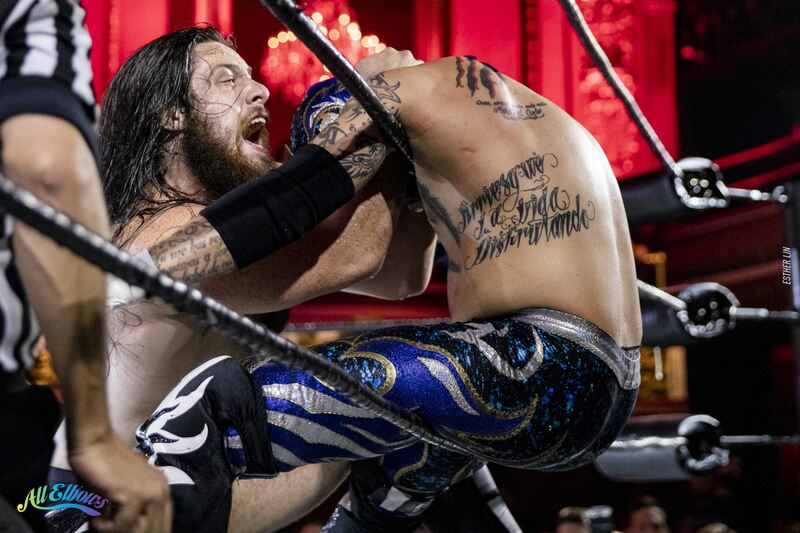 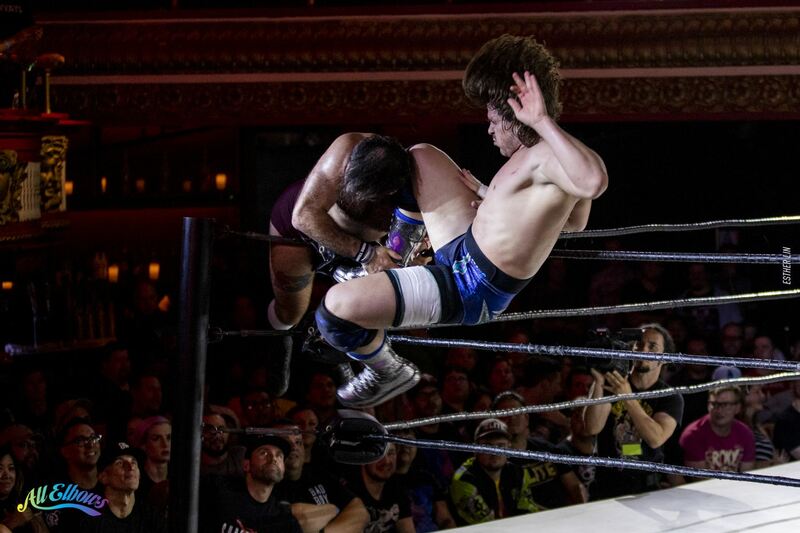 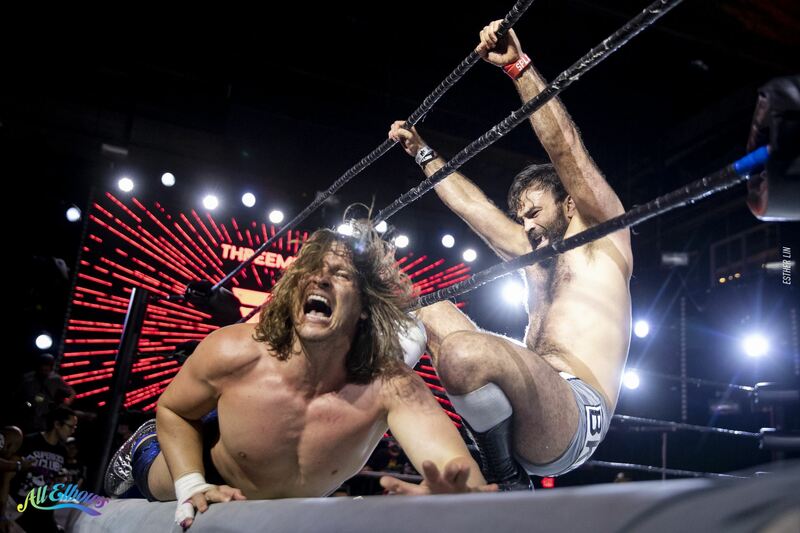 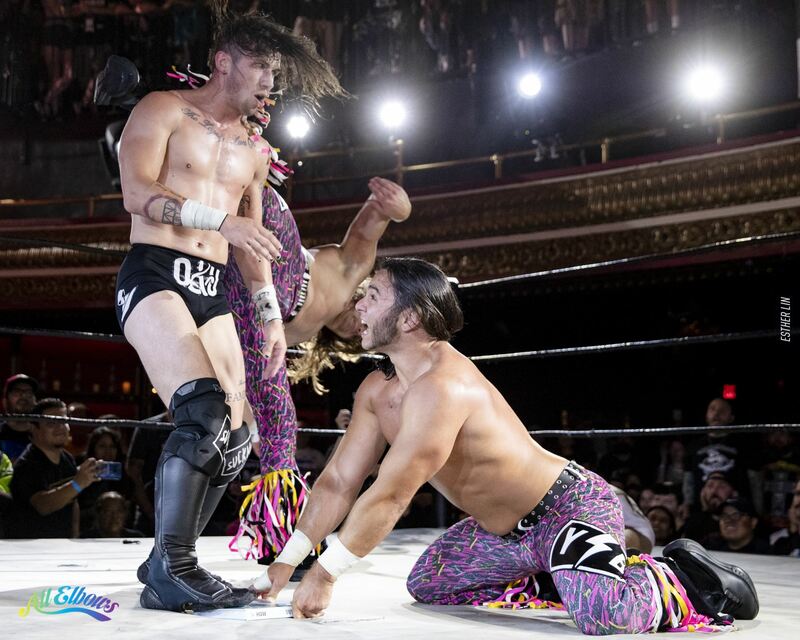 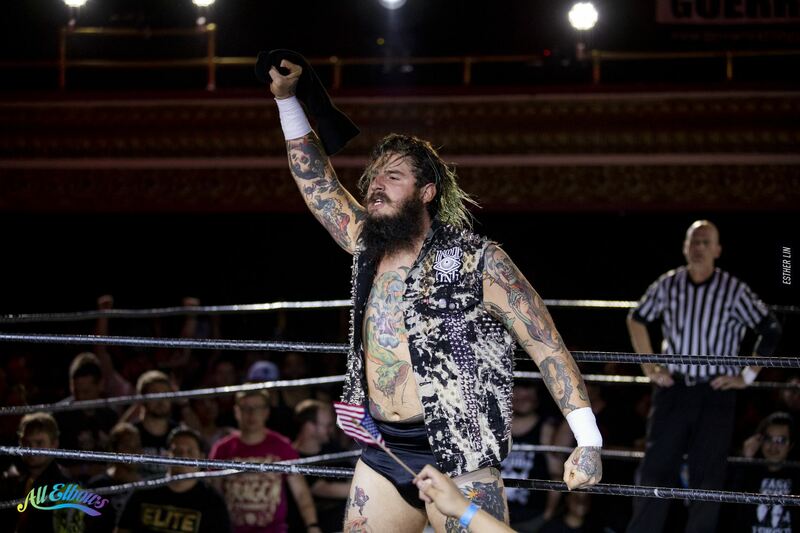 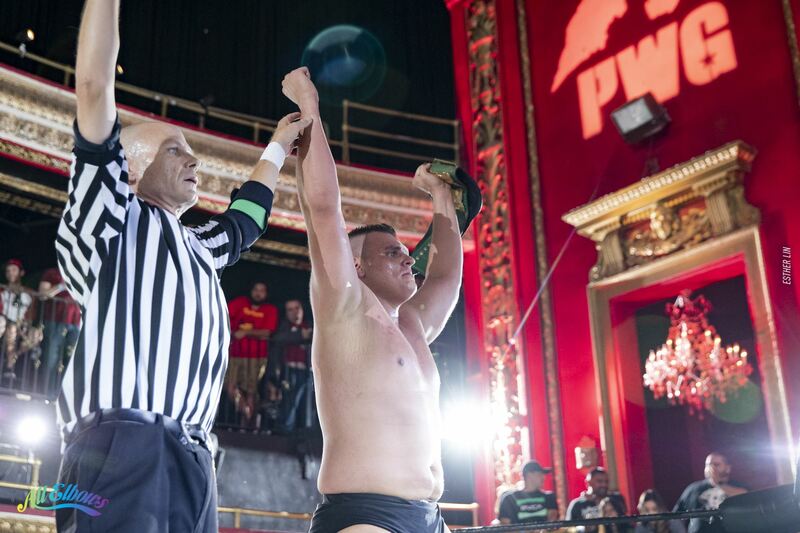 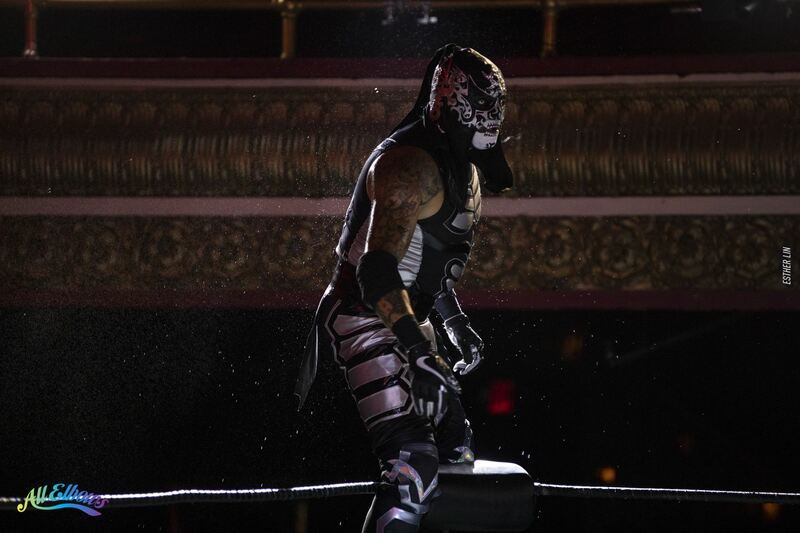 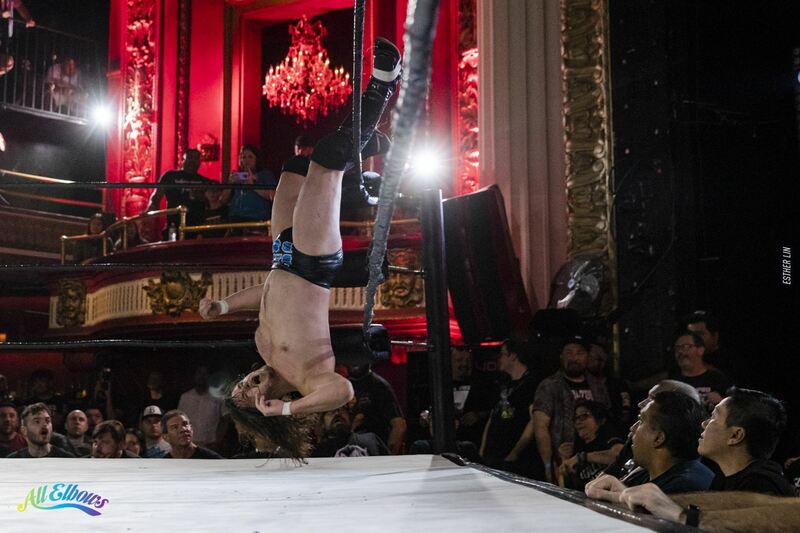 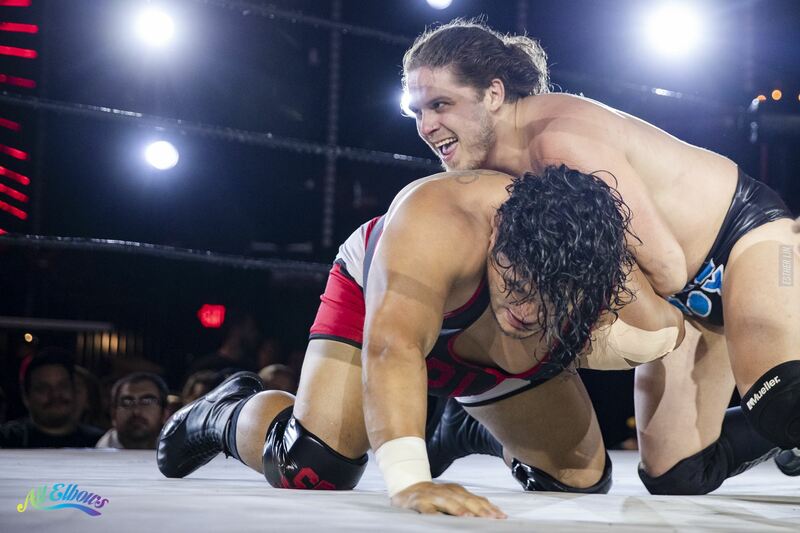 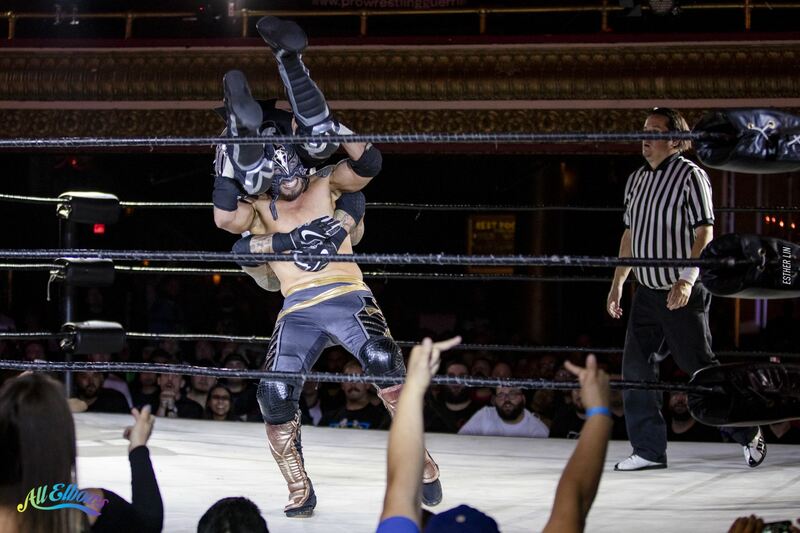 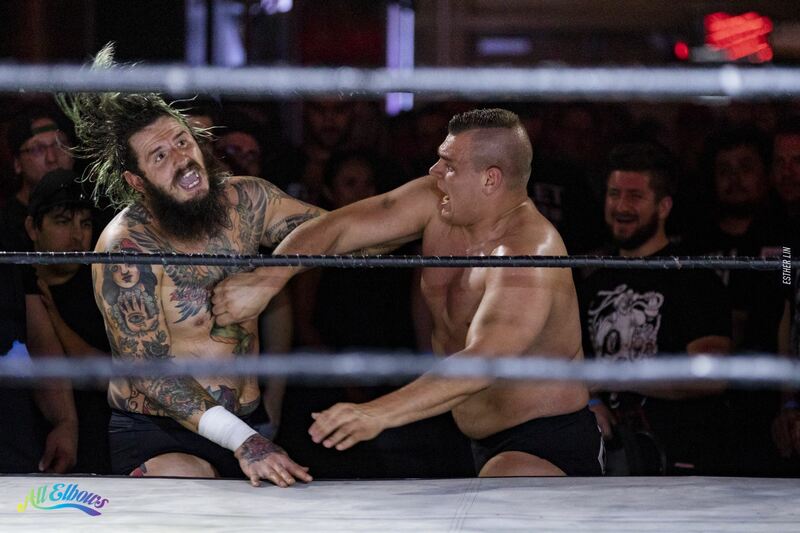 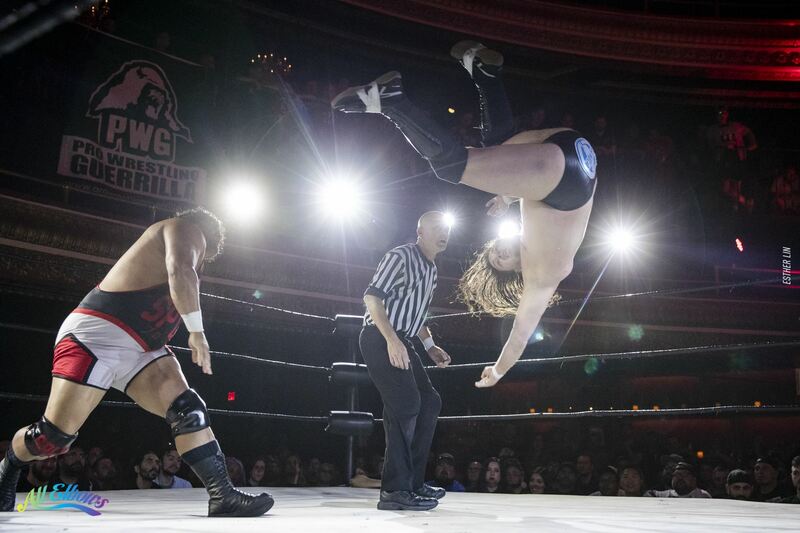 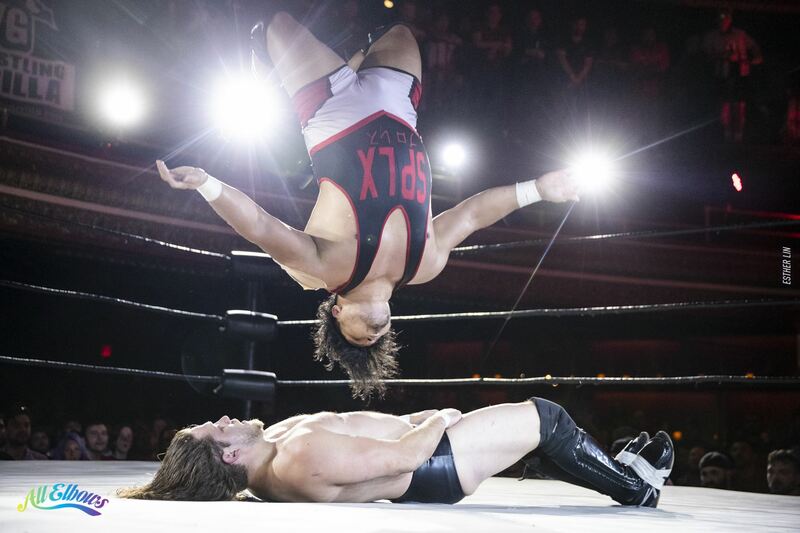 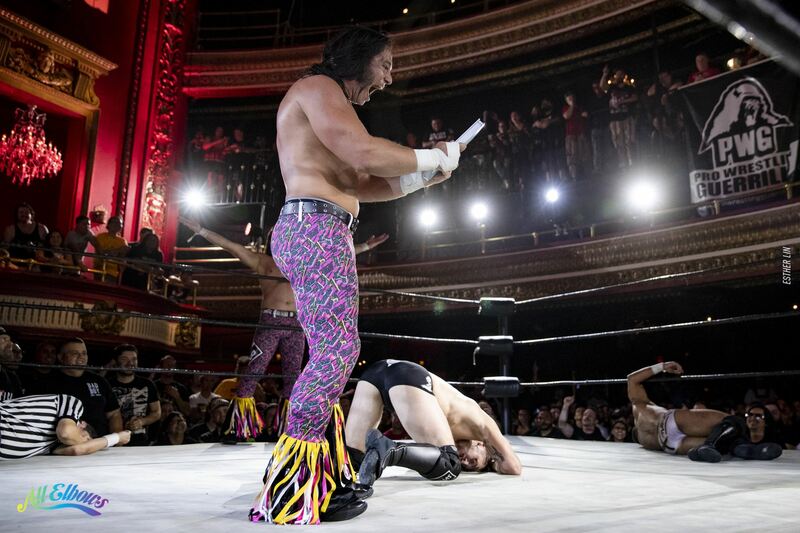 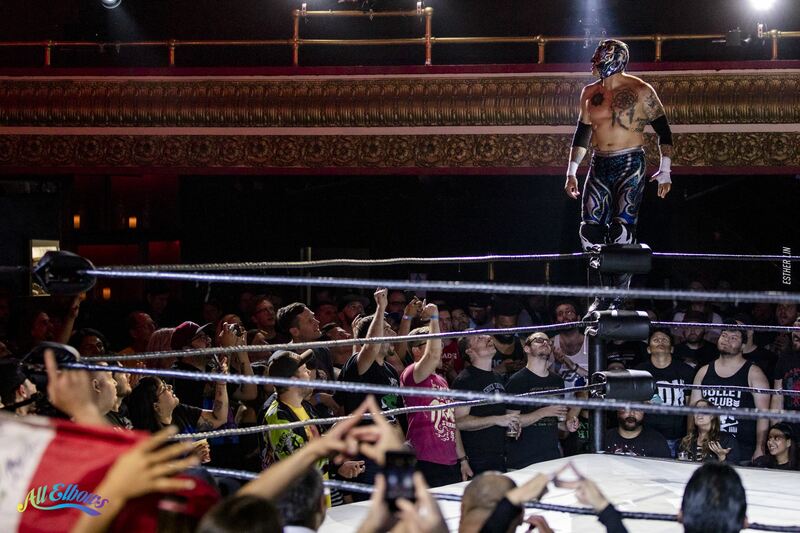 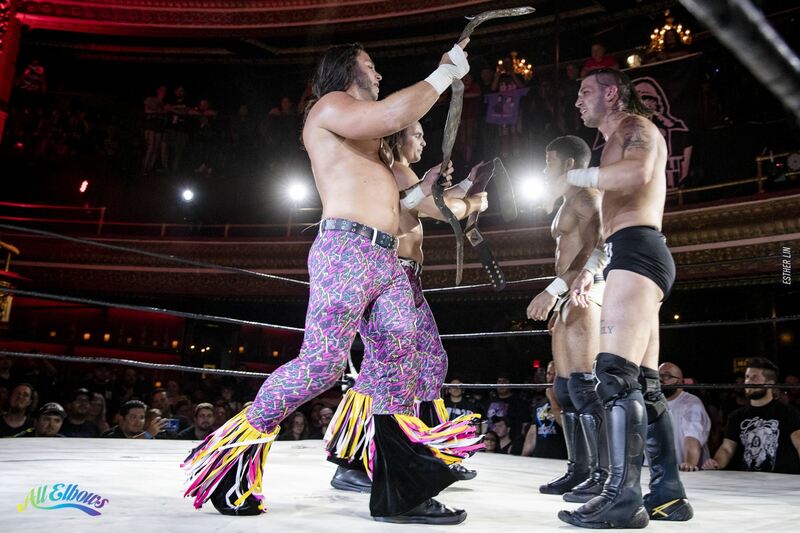 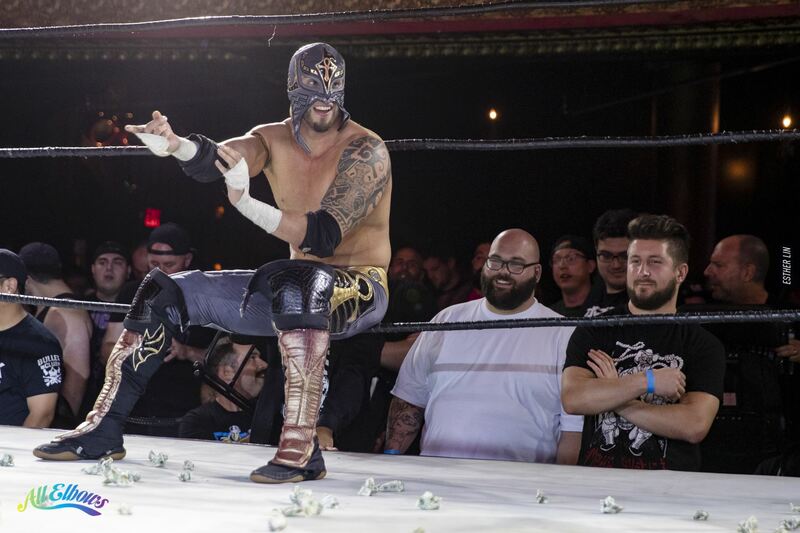 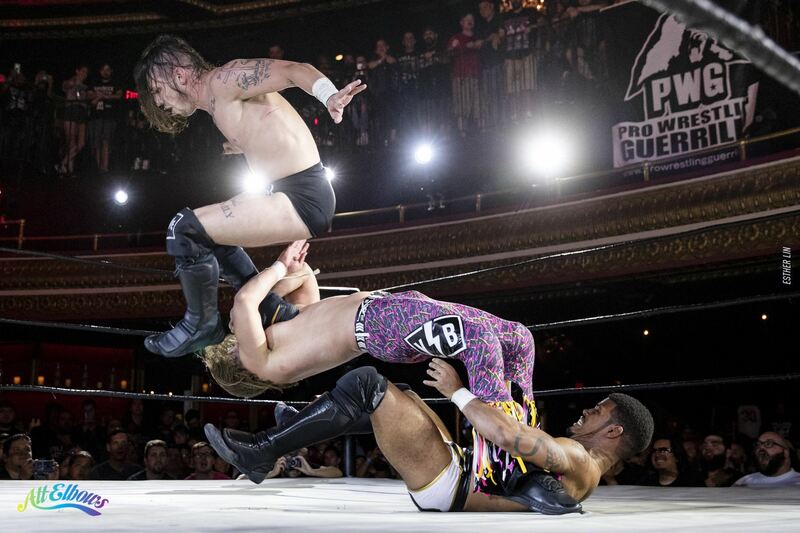 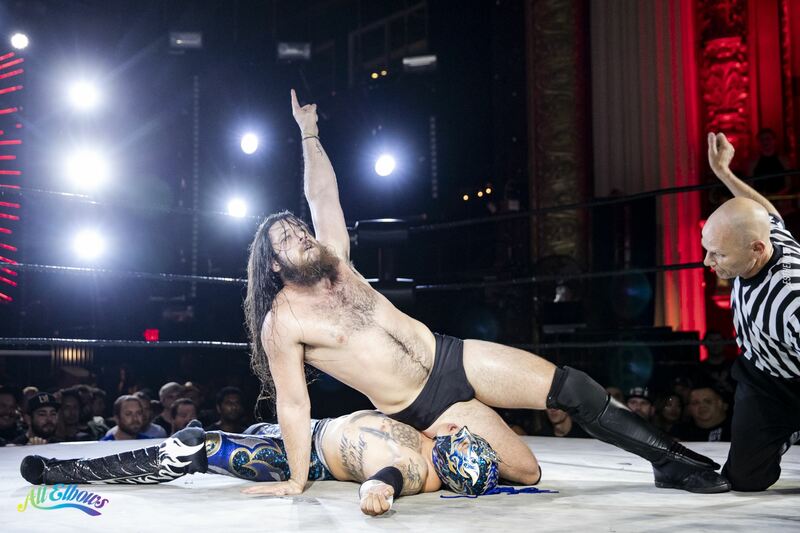 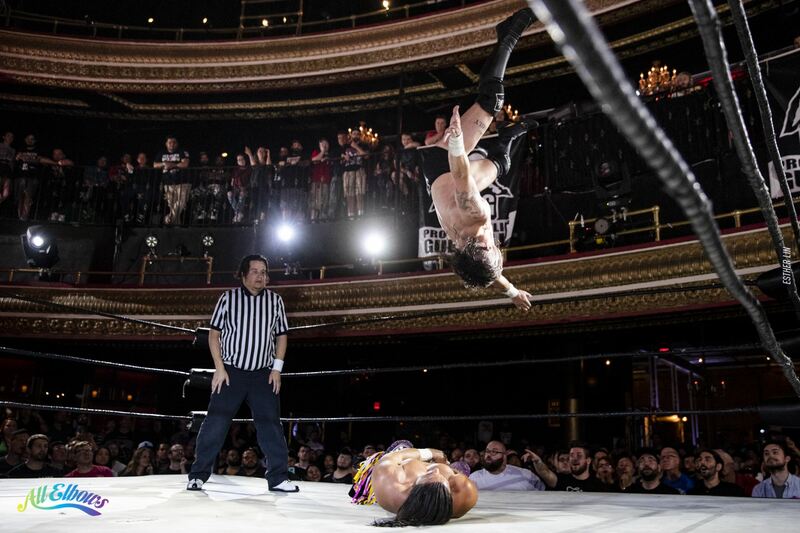 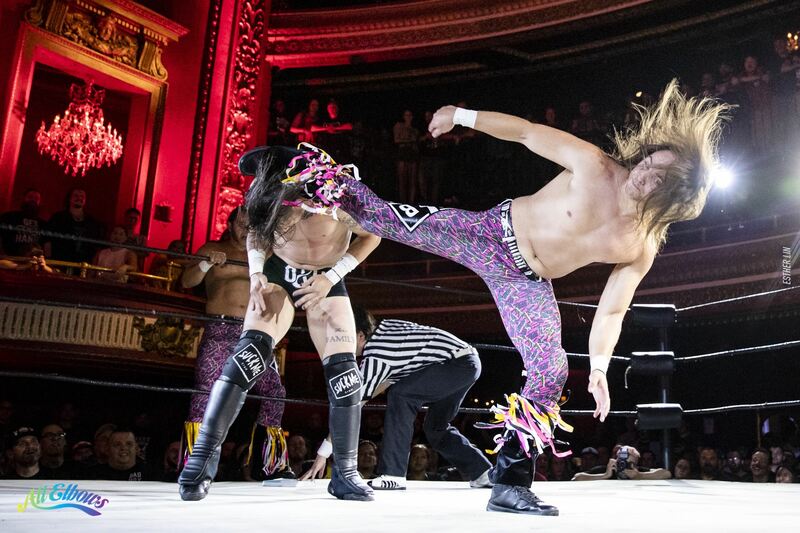 2018/07/15 | Filed under Other Photo, Pro Wrestling and tagged with pwg.